It's been a while since I've done an Eye Candy Post, hasn't it? It seems that every time I make something and want to photograph it, it rains. So these things have been made for a while, but I finally got most of them on the web site and I thought I'd show some of them, and then share some other cool things I found online. 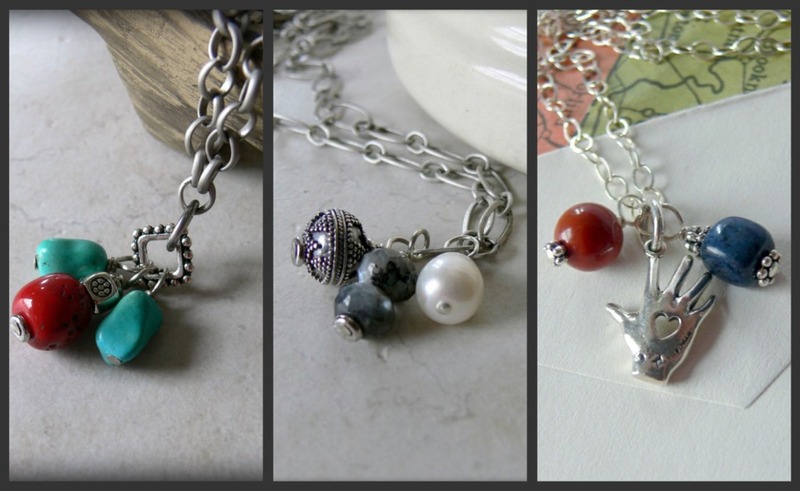 I started a new jewelry line called "Simple Treasures" -- just a little something, little charms on a chain. I've done this before, but with much larger beads on a larger chain, so this is a little different. I also made a necklace using Heather Power's "Starry Night"- inspired beads. 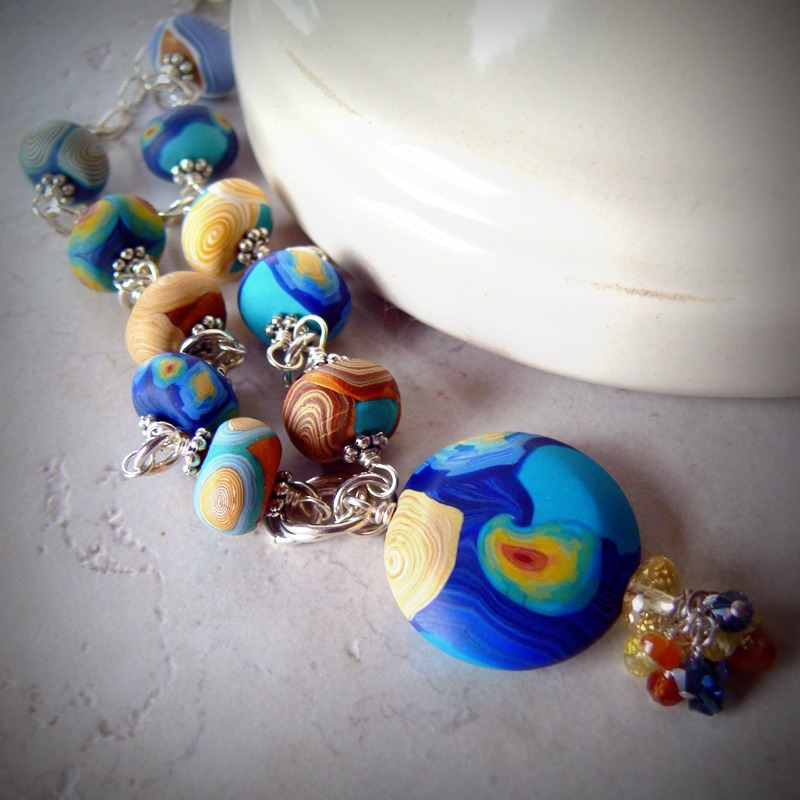 I added clusters of Swarovski crystals and gemstones at the bottom of the pendant and kept the rest true to the polymer clay beads. Then I made a rare larimar and amethyst bracelet. The larimar ovals are large, and I'm here to say, my larimar stash is dwindling, and when it's gone, it's gone. OK, enough about my stuff. Now let's show off some OTHER people's beauties! Isn't this purse by Handbags by Daphne too cute? But then, you know I'm drawn to color. Speaking of color, this would match my studio/office to perfection. I'm just in total love. I can't even imagine how much work went into piecing all those fabrics together, let alone having the pattern and color theory to get them to look well together! 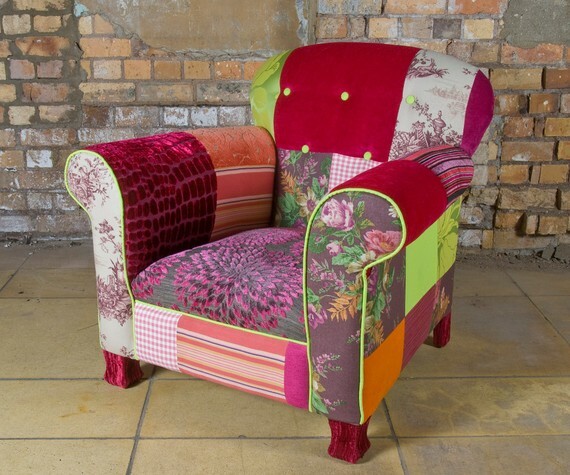 The chair is made by Velvet Perch. And these clips are just too sweet -- perfect for holding together the million and ten things on my desk. Made by PoshParis. I hope you enjoyed your Eye Candy tour! You picked out cool stuff, but your stuff is awesome! Lori, yesterday I was browsing in Amazon to buy some battery operated lights for Craft shows. I came upon a review by you where you were saying you were pretty happy with those little things. But then you said at the end - they are so so. Do you have any idea for solving this problem of light for craft shows? 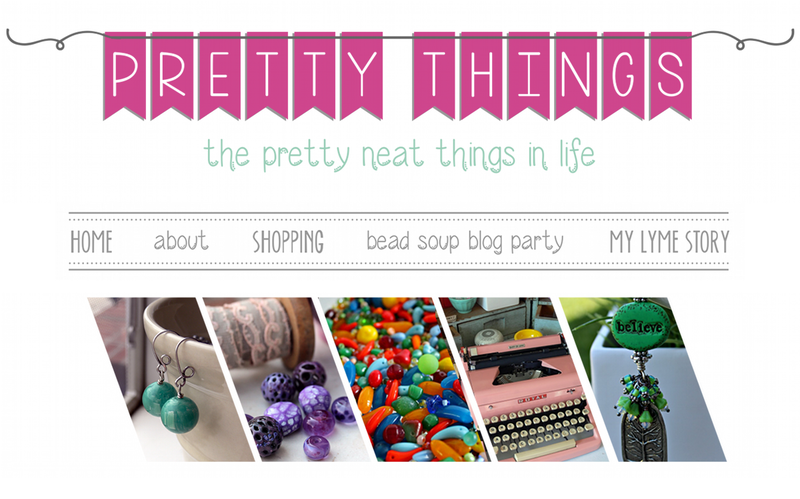 Lovely jewelry and collection of items. I so want that chair! Very lovely stuff. I would love that chair too! Can see myself curling up to nap in it. gorgeous color - lovely bracelets - such unique beads and stones. The chair begs to come to my house. 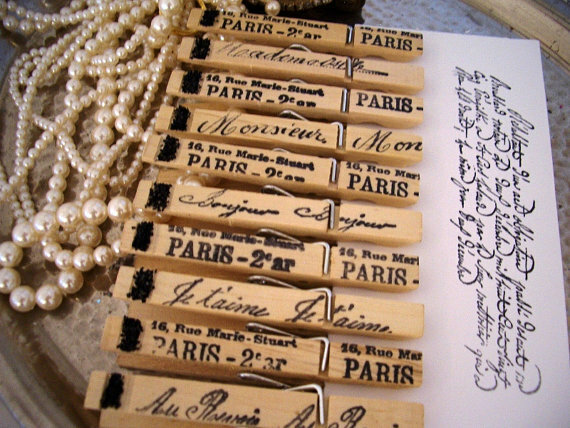 The pegs/clips are inspiring... can't wait to make some red ones with white/purple polka dots to match my new workroom. wonderful stuff - your items and your picks! They're all so pretty - I'll take one of each! I want that chair. I want it so bad, I could just steal it! (as there's no way I could ever buy it...) That lady has a sofa for sale, too, I am in total awe. How does she? 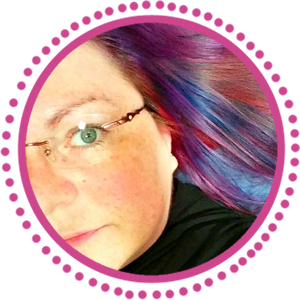 I absolutely love your designs - and your photographs are mouth watering! Oh man I can see myself in that chair!!! I LOVE the larimar bracelet, larimar is my absolute favorite stone. Your jewelry is so beautiful, the color of the beads are so amazing...just striking... I do agree with you that chair is the coolest! I hope everyone has a beautiful Mother's Day! Really love the Simple Treasures line. 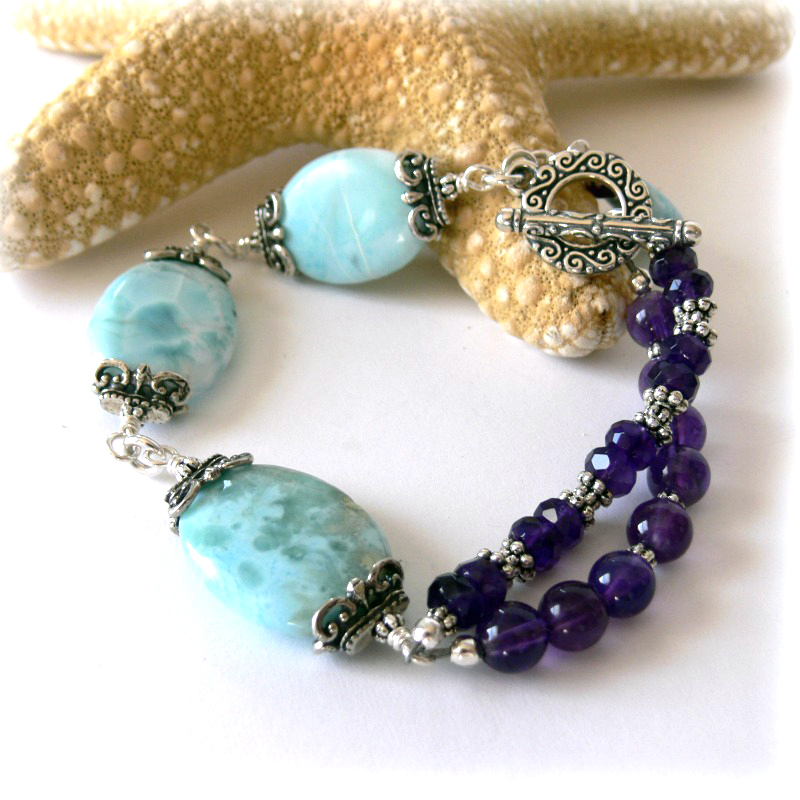 And the larimar and amethyst bracelet is divine. That chair reminds me of one I had for my daughter from Belk. 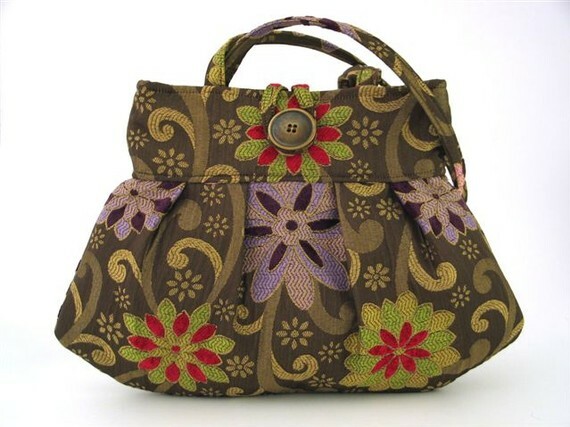 The brand was called "Groovy Girl" and also featured a patchwork design, although not nearly as awesome as hers! Thanks for the eye candy, and have a lovely weekend. Lori, such beautiful pieces. 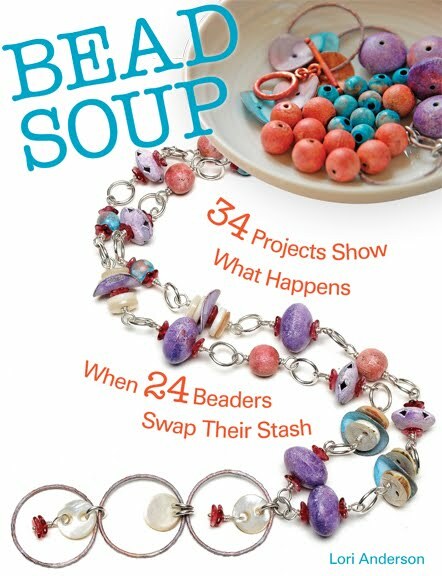 I think my favorite is your bracelet as well - it's getting rave reviews! :-) Love the color combination. And that chair really is cool. I found the sweetest shabby-chic chair last month in Leesburg with the same comfy style, would LOVE it for my studio but there is simply no room for a big, plump chair! So many lovely things. I love your new line of necklaces! And you KNOW I love the Starry Night necklace, as I think I'm on record as stating it's my favorite work of art. You have a really nice blog with excellent photos. And yes, that chair is delightful. 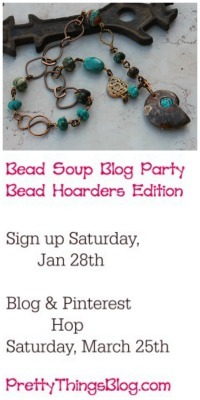 I love the Simple Treasures -- and that purse is fab! http://abcpaydayuk.co.uk submitted and any sort of verification to supply loan.